Opioid drug abuse has killed more Americans than the Iraq, Afghanistan and Vietnam wars combined. Veterans are twice as likely as nonveterans to die from accidental overdoses of the highly addictive painkillers. 64,000 Americans died from opioid overdose in the 12 months ending January 2017, a 21 percent increase over the previous year. Senator John McCain also suggested that opioid addiction could be a contributing factor in veteran suicides, which occur at a rate 21 percent higher than the suicide rate of the general population of U.S. adults. The problem is abundantly clear. However, in the many months since the Reuters story appeared, action to address the problem has been woefully insufficient. Across the nation, VA centers are complaining they do not have the resources to manage the need for drug-addiction services among the veteran population, especially for young veterans from Iraq and Afghanistan who have become addicted to opiates prescribed to help them manage chronic pain from service-related injuries. The propensity for self-sacrifice is one of the most distinguished traits of our U.S. military and our veteran community. But at Marcari, Russotto, Spencer & Balaban, we believe our veterans have sacrificed enough, and it’s time for us, who have benefited so much, to do some sacrificing of our own. We must provide the VA with the resources it needs to fulfill its mission to care for those who have borne the battle. Marcari, Russotto, Spencer & Balaban helps veterans access the VA benefits they deserve. 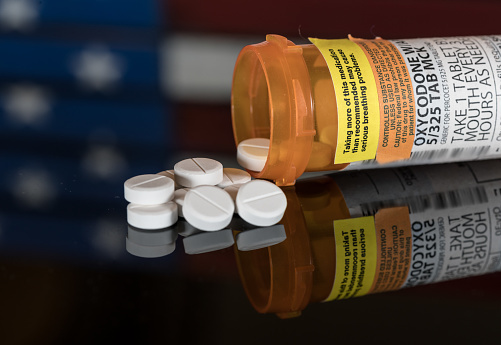 We are also personal injury attorneys who aggressively pursue compensation for patients who are negligently prescribed opioids and become addicted. To learn how we can help, call 866-866-VETS or contact our office online.